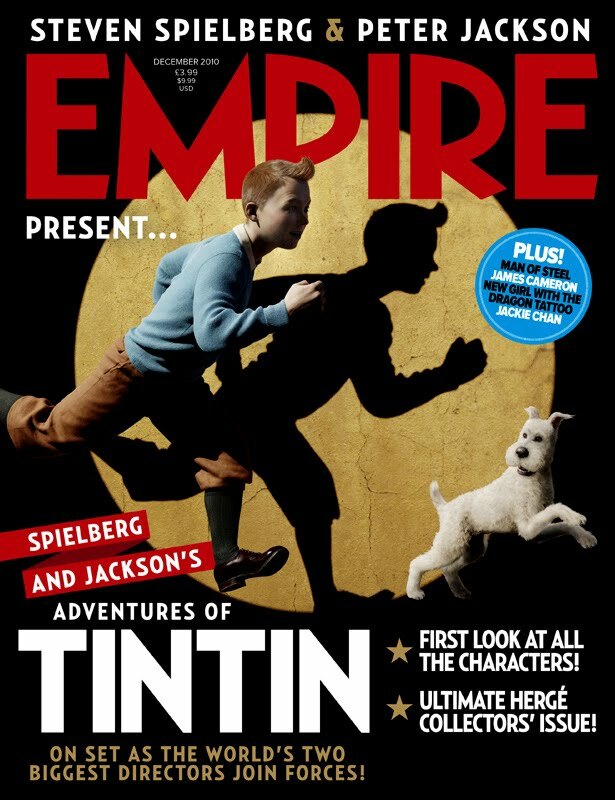 Empire have revealed the first images from Steven Spielberg and Peter Jackson's 'The Adventures of Tintin: The Secret of the Unicorn,' with a specially-Weta-created cover is a riff on the iconic image of Tintin (Jamie Bell) and his dog Snowy picked out by a spotlight as they are running. The film also stars Simon Pegg and Nick Frost as Thompson and Thomson respectively (“When people first heard that bit of casting they thought that we’d gone barking mad,” says Jackson. Adds Spielberg, “The Thompson Twins can’t be clones of each other. Nick and Simon provided all the differences we needed to foil for each other. 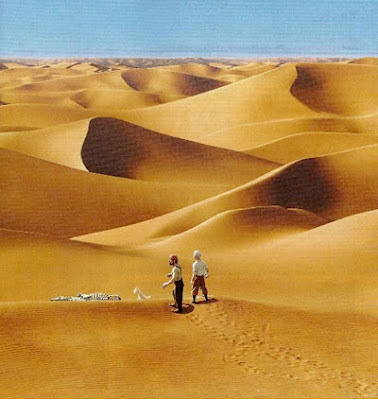 They have a wonderful moment in the movie where they start to have an argument about whose sidekick is whose.”) and Daniel Craig as Red Rackham. It also features Cary Elwes, Toby Jones, Mackenzie Crook and Daniel Mays.